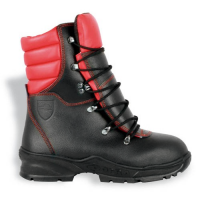 Chainsaw Boots are essential for those working in the forestry industry, providing ultimate foot protection whilst incorporating comfort to keep you on your feet all day. 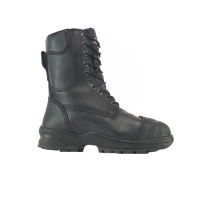 At Snickers Direct, we have a huge range of Chainsaw Boots for sale in a selection of sizes and styles to suit you - discover them today! 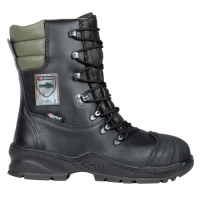 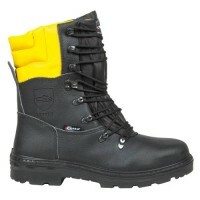 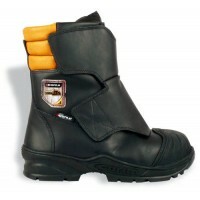 Cofra Force Chain Saw Boots Class 1 Protection A E P FO WRU HRO SRC Upper Water repellent printed le..
Cofra Power Class 2 Chain Saw Boots A E P FO WRU HRO SRC UPPER Water repellent prin..
Cofra Strong Class 3 Chain Saw Boots A E P FO WRU HRO SRC UPPER Water repellent pri..
Cofra Woodsman Bis Chainsaw Safety BootsModel: Woodsman BIS A E P FO WRU SRCDetails of the Cofra Woo..